The ROKU System AWM II consists of a several layers of high performance intumescent material ROKU strip encased in a solid metal sleeve. In the event of fire, the intumescent material expands sealing the opening hermetically against flames and smoke. 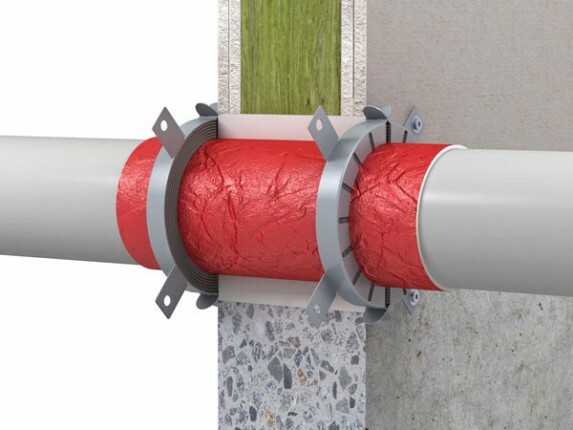 Sealing of plastic pipes up to a maximum of 400mm in solid walls, drywall partitions and solid ceilings.